Warm summer evenings call for a cold drink and some tunes. Thankfully, there are quite a few places in Johnston County where you can have both. We’ve rounded up musical performances happening around the county over the next month. Click through the links to find out more about each one. Also, don’t forget to follow the Johnston County Visitors Bureau on Facebook or visit www.johnstoncountyevents.com to stay up-to-date on events happening in the county. Performers include The Malpass Brothers and Al Batten & The Bluegrass Reunion. Bring a chair or a blanket and enjoy some of the best bluegrass acts round. 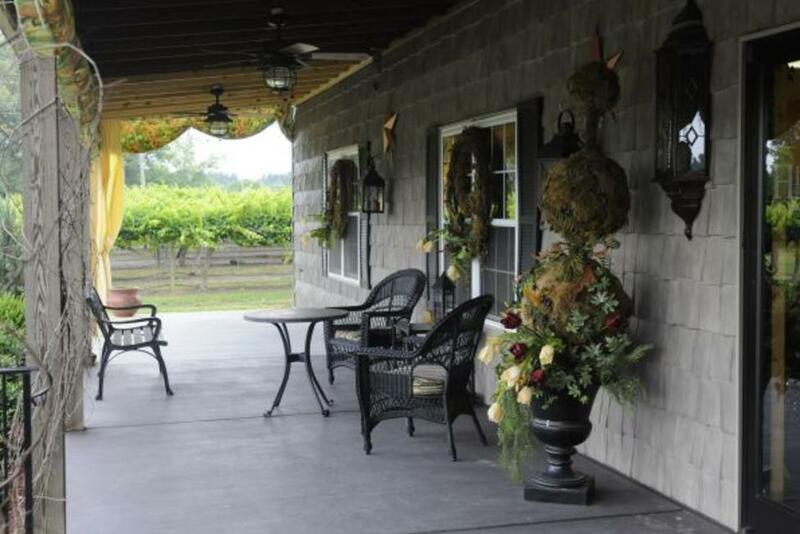 Hinnant Vineyards has a glass of chilled wine and Wade Hill ready to serenade you on the front porch as you gaze about you at the lush vineyards. The Clayton Youth Theater presents The Little Mermaid, a musical sea adventure for all ages. If you can’t catch it on the 29th be sure to visit their website for other dates and times. The show runs through the 6th of August. Come to the Benson Singing Grove to listen to Jim Quick and the Coastline Band. Bring a lawn chair and a picnic basket to make an evening out of it. The Rudy Theatre, home of the American Music Jubilee, presents a special evening with Gaylon Pope. This month’s concert features Kasey Tyndall with the Big River Band. Evenings on the town square are made even better by the presence of Deep River Brewing and Wine on Main to provide libations while you jam.